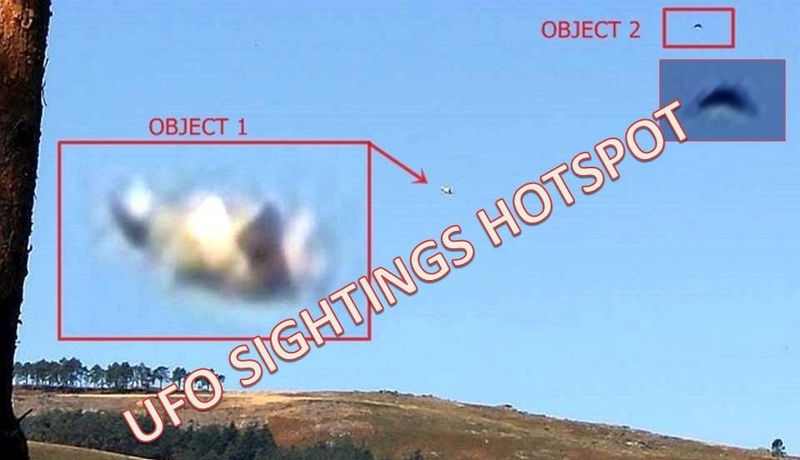 A large strange spherical object followed by a second object travelling over a mountain near Vila Real in Portugal has been photographed by a hiker. 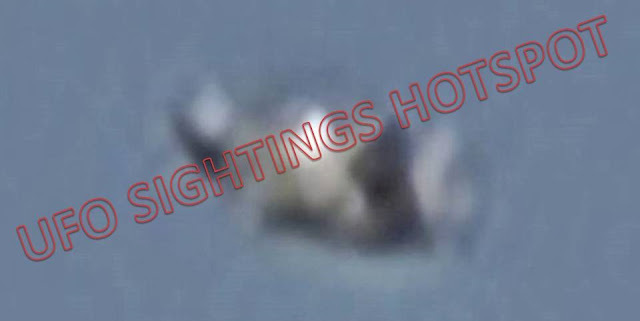 Is it a UFO or could it be a drone flying through the air being controlled by the second object behind the spherical object? Witness states: I was hiking on the mountain and taking pictures when I observed a spherical object the size of a helicopter. It flew silently and too fast, so I immediately started shooting. While doing this I lost the visual reference of the object. When I returned to look at the sky in search of the first object appeared a second object at the same speed and following the same path. The objects traveled from SE to NW at a speed of over 300 km / h, at an altitude of 100m to 200m and at a distance of less than 3km from the observation point. MUFON - case file. Watermark images: Tired of all the copy/paste experts who are stealing my work without even mention or backlink to the source then there are several sites who copy all my articles in full, same title, text and images and republish it on their site if you not know better than you think it is a back up site of UFO sightings Hotspot, yet all the YouTube channels who are using my work without mention or backlink to the source. So the watermarks in these images is actually a onetime test not only to see what the copy/paste experts are going to do but also a signal to these people that if they continue in the same way I will take further action to all the sites who are stealing my work.